Have you done your new year's resolutions already? I always tell myself, I would rather make yearly goals than resolutions. Resolution is to make a firm decision to do or not do something. Oftentimes, these are broken, by myself at least. But to have a goal, regardless of the means you do to achieve it (good ones only please), urges you to be more creative, persevering, hopeful and inspired to get what you've set for yourself. I do this every year. I started goal setting in 2008. I have one major goal and several minor ones. So far, year by year, I achieve my goals one step at a time. My previous goals had to do with legal matters, paying off debts, travelling and getting an insurance coverage. This 2013, I've listed a few goals that I wish to achieve. I do hope that I tick off all of those listed above. Having written these goals will let me have something to look back to when I go off-track somewhere along the way. Now all I have to do is live each day at a time, think of always going forward and have a positive mindset. Pray for sustenance, for protection, for health, for His provision and for more blessings so I may be a blessing to others as well. May my 2013 be as good, or even better, as my 2012. What about you, what are your New Year's Goals or Resolutions? I love writing down goals as well. But most of my goals get sidelined or I get sidetracked. Life takes over. But writing them down is indeed a great way on keeping focus. Great job! happy new year ms louise! I also don't have a new year resolution as I end up not doing it at the end. That's why I write goals instead, because you work hard to attain it. 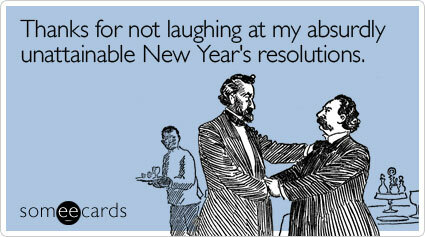 For me lang ha, resolutions could be sometimes over the top superficial that we end up not doing haha! Uyyy, dot com ka na sis!!! Congrats! hahaha! I know! :) Thanks sis! hahaha! You got yourself a good list of goals. God bless on your future endeavors. Happy New Year LouIse ! Hope you could write a short post on how you got your new domain as I plan to have my own as well. It is good that you plan on spending a day for fitness as more often it is always over looked because of our busy schedules . Blessings to you and your family . Hope to meet you soon ! It is better to have goals for the year. Even there are possibilities of not attaining them, this will serve as guide for you the whole year. Congrats on your new domain. Happy new year! Goodluck with your 2013 goals. I want to start investing this year too. Go ahead sis! I started getting a variable life insurance last year which was part of my 2012 goals. I felt so happy and secured after doing that. :) Good luck! Congrats on your new domain! :) i like Meet BC BloggersFamily in Person!!! hehehe i hope so! Congrads on your new domain. I too set both resolutions and Major/minor goals with a monthly assessment to see how far along I have manage to get to each month. One of my New Year goals is to learn baking. I love sweets, such as cheesecakes, pastries but sometimes, the ones on the counters are way too sweet or too fattening. And the only way I can have them my way (right sweetness, right crispiness, etc.) is to learn how to bake them. My first time here, Louise! Happy New Year! Thanks January for your well wishes! 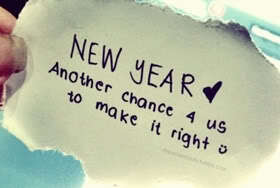 :) Happy New Year! But yung sa school, medyo ang utak ko di pa naka focus dun. Next year na lang!